Best bar in York, bar none, if you''ll pardon the pun. 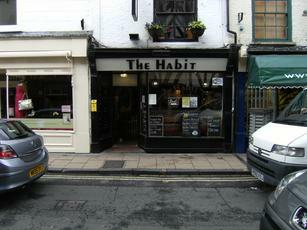 I''m from London (yes, I know) and I''ve been to the Habit four times in the last ten years or so. Relaxed, friendly atmosphere, loads of space. Great food, great beer, great people. Superb. Lovely informal atmosphere with good beers and friendly staff. A true hidden gem (still), recently only one real ale on at a time but its always a good one! Staff very friendly.